As if further proof of how viable bacteria are is necessary. Bacteria are the true masters of this world. If they weren’t, then how come so many varieties of consumer products claim they can exterminate them? Anyway, this particular story should be valuable to bacteria nerds in particular and U.S. Navy nuts in general. Apparently a recent experiment off the coast of Thailand sought to prove the usefulness of harnessing bacterial gas. The experiment was codenamed Crimson Viper (very G.I. Joe in our opinion) and its ultimate goal was to prove the usefulness of an untapped power source—again, bacterial gas as a byproduct of a metabolic process. 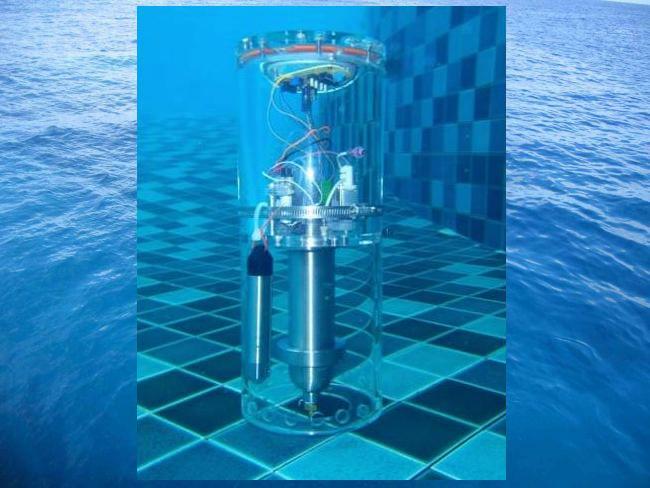 If the program ever leaves the testing phase and is adapted by the military, a new generation of aquatic sensors could independently operate by themselves. The whole point of using bacteria in a pressurized container is for them to create gaseous metabolic byproducts. When harvested, Zero Power Ballast Control is achieved. The term is the name of the new technology and it could rid underwater sensors of traditional electric batteries thanks to a tank full of bacteria. Once perfected, the application of microbial buoyancy systems could have far-reaching effects on how ocean-related studies are done. Not to mention a few secret military applications. In the meantime, bacteria are just awesome.